Spring is right around the corner; which for many means the start of allergies again, along with the sneezing, running noses, red eyes, and headaches. The side effects of allergies can be similar to those when you have construction going on in your home. The fumes of paint and flooring finishes can induce headaches, the excessive dust created from demolishing walls or sanding floors can cause sneezing and coughing as harmful pollutants are released into the air, and the influx of different people performing work in your home can introduce germs and spread illness, especially during the winter months when the flu season is in full swing. These common issues during remodeling and construction jobs can be more complicated for our senior population undergoing renovations to help them “age," or "live in place", especially since so many of them will be remaining in their home while the renovations are taking place. Here are some strategies to discuss with your contractor before beginning work in your home to help prevent and reduce the most common health issues during renovations. It’s important when selecting your contractor, to discuss and understand how they handle dust and related health risks to ensure they are kept to a minimum. Contractors that use some of the equipment referred to, may also come in with higher bids, so balancing the cost and benefits during the contractor selection process should be performed. In general, water-based paints will emit fewer chemicals and lower levels of chemical vapors. Select primers and paints with low-volatile organic compounds (VOC) as these products release fewer fumes. Low-VOC materials are applied the same way as conventional paints and primers and cost about the same as most manufacturers' top-of-the-line paints. They can also be cleaned and disposed of easily without the use of active solvents; which is always a plus! As paint dries, harmful VOCs are released into the air at high levels, so this would be an essential time for seniors to open all windows, place fans around the house to direct the fumes outside, or better yet, get out of the house for a few hours or overnight. Another paint or finish option is to look for products that carry the “Green Seal.” These products are guaranteed to meet precise environmental standards and contain VOC levels even below those of already low VOC products. Green Seal products are forbidden from using a long list of toxic chemical compounds and must meet specific performance requirements; so ask your contractor about selecting products with this certification, and to understand how best to incorporate these products in your project. Dust is everywhere on construction sites and will always exist. From cutting and sanding materials to excavation, drilling, and demolition, it’s an impossible substance to avoid. However, dust is an unnecessary health risk that can be efficiently managed on every construction site. Water dampening is an effective method, but can be challenging to manage. It requires the site to be thoroughly soaked before the work starts and a constant flow of water to be maintained during the task to prevent dust particles becoming airborne. A sufficient supply of water and access to it are crucial elements. The second method is using specialist extraction and filtration units. Power tools and air scrubbers use dust extractors and collect dust as the work is performed and can reduce the dust that is emitted into the air by almost 90%. Air scrubbers capture dirt before it circulates through your home. Place plastic dust barriers with zipper openings at all entry points to a room or space under construction and seal them tightly. Review how debris will be eliminated from the home. Will it be brought in and out through the central space, or can it be removed directly from the room in which it was created? Contractors should only walk through areas of the home where work is occurring. Place sticky mats outside the doorway to pull the dust off shoes, and place floor paper from the construction area to the exit door to capture additional dust. Dust generating tasks should take place outside. Adequate clean-up at the end of the workday including vacuums and sponge mops should be used to gather dust that has settled in. During the work, vents should be blocked off with plastic, and if there is a return vent in the room in which work is performed, that’s a bit trickier, so it may be easier to schedule the task at a time when the unit can be turned off. Once the work has is completed, clean the HVAC system and air vents to ensure that you aren’t continuing to breathe in the dust. With the right dust extraction and filtration systems in place, along with barriers and enclosures, construction dust can be efficiently managed and contained. clean your walls (including all moldings). vacuum all floors (if carpeted go over them a few times, and if they're wood, tile, or linoleum, follow your vacuuming with a quick mopping). vacuum all upholstered furniture (couches, chairs, and even mattresses). take down and clean all light fixtures and window treatments. unscrew and clean your vents. check and change all air filters. Use disinfecting products to wipe down all surfaces (countertops, hand railings, toilets, vanities). It's important when planning a home renovation project to review health and safety concerns, and build these strategies into the project before the work begins to remain healthy, happy and ready to enjoy your new home! I’m sure you’ve all heard the saying, “A house is made of walls and beams, but a home is made of love and dreams.” This saying couldn’t be more true. It takes hands to build the house you live in, but the hearts inside are the only ones to truly make it a home. Some of you may still be living in the same house you raised your kids in, while others have moved on to new homes, a new living situation, new cities, or their children may now occupy the homes they grew up in. Regardless of where you are, everyone has something in common; memories are built into the foundation of any home. Now think about being in your 80’s, living in the same house you raised your family in, and having made the decision, along with your family, to make significant renovations to your home to age in place independently and safely. Many seniors have lived for years in their home, never having made any significant renovations, much like one of our favorite clients. Her desire to remain at home and create a first floor master bedroom and bath will uproot and change the very essence of the home she shared with her family for over 50 years. She’s nervous that new construction and the change of furniture, walls and home renovations will create a space that feels unfamiliar, and along with it, will go the connection with the deep rooted memories embedded in the home. With the first phase of the construction contract signed, renovations will start shortly on the 2nd floor to freshen it up, and along with this, her anxiousness towards the process is evident. What will happen to the memories? Will she miss the familiar reminders of happy times, and how will the adjustment to her new surroundings serve her? How do these changes affect family members and their memories also embedded in the structure? It’s often as difficult, if not more difficult, for the children of the seniors that no longer live in the home to suffer the loss of home as they have known it when construction occurs. They have moved on, and out of the house, but their memories remain. How will a lifetime of memories be maintained and incorporated into the new framework? Prior to the start of the renovations, we have spent a significant amount of time working with her to declutter, clean out and eliminate the items that are no longer needed. 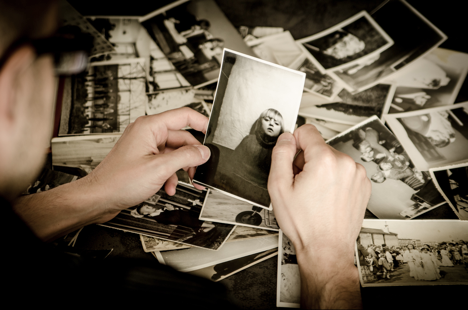 As part of that process, wonderful memories have presented themselves in all forms, like old photographs, letters, trinkets, and even unopened presents. We uncovered an entire collection of Norman Rockwell commemorative plates that were never opened, and in their original packaging (which we will put on display and enjoy!) All of these unexpected moments have not only occupied our client’s time up until construction, but given her the opportunity to find, review and reflect on these memories and find comfort in this time of change. There have been moments of her wanting to call the renovations off, but because of her trust in us, and our constant support she pushes through. It’s our job to help her, give her peace of mind, and reassure that the construction is not diminishing the memories; instead it’s adding to them while enabling her to live safely for years to come. Our design will incorporate not only favorite pieces of furniture, artwork and now, new found treasures, we also plan to create a full gallery wall to display photographs, letters, awards, and other memories in her new environment. She will continue to be surrounded by her memories, and be reminded of her life full of laughter, joy, and love. The Holiday season is in full swing with festive music, twinkling lights, hectic street traffic, but most importantly household traditions that are performed with love. Some people may bake their favorite batch of cookies, or hang important family decorations, while others may be cleaning or decluttering to prepare for a huge home renovation. We have been following the progression, and sharing stories of our current clients heartwarming home remodeling project over the past few weeks blog posts. For our client, the holiday season has been consumed of floor plans, proposals, and talk of walls being torn down come the new year. He and his 82 year old mother are eagerly awaiting the chaos of construction; however, before any of that can begin the organization of existing furniture, pictures, clothing, etc. needs to take place. The cleaning and decluttering phase can be fun. It can be a time to see old things that may not have been seen in a while, rid your space of things that may not belong there anymore, or even discover things that you completely forgot about or never knew existed. All of the above has occurred with our client, but the last point of discovering something that he never knew existed will be the focus of this post. 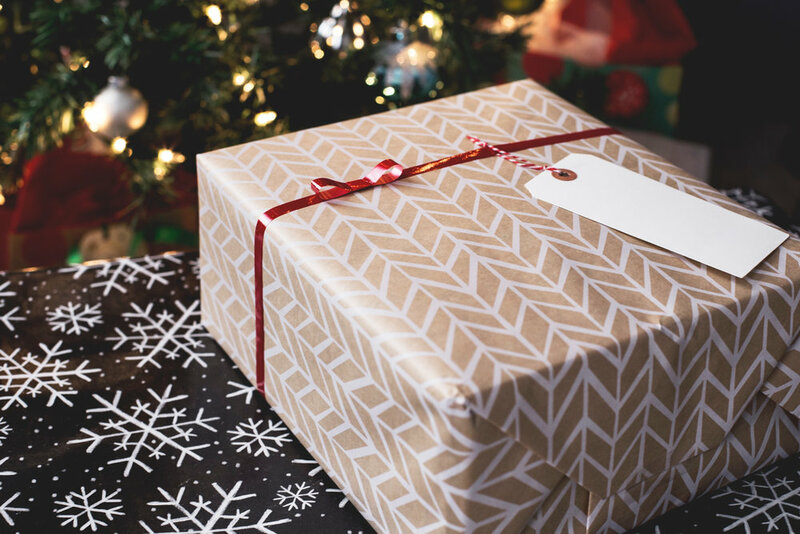 One afternoon while cleaning out the garage, our client stumbled upon a wrapped present that was addressed to his mother, with love from his father. He couldn’t tell how old the present was, but he assumed it was maybe two Christmases ago, since his father could not get out shopping last year before he passed. This will be the first Christmas they both will spend without him. As he looked at the present, a ton of memories from when we was a boy rushed back into his head. He shared with us that he just stood there silent; looking at it, holding it, like he was standing there holding onto his dad. The tenderness at this time of year is present in their household, but there is still so much joy to be seen. It only took one present that was discovered tucked behind a pile of old boxes to bring peace to their hearts. What if they weren’t in the process of remodeling there home? Well, we’re certain that they wouldn’t be organizing, decluttering, and cleaning out their garage at this time of year. Which means, that this little present would have sat behind those old boxes collecting dust just waiting to be found. However, their preparation for construction prompted the best holiday surprise ever. They found a message from a loved one just when they needed a little extra TLC! We love to be apart of these incredible memories, but we love even more that our clients want us to be apart of them. From the team here at Ellen Farber Strategic Design, we give you the warmest thoughts and best wishes for a wonderful Holiday and a happy New Year! The holiday season is upon us, which can be a crazy and hectic time for anyone at any age. Whether it involves traveling to see family members, running around completing errands, or baking and decorating your home, the holidays are always overwhelming. But what if you add renovating your home to the mix? Home renovations can be stressful at any time of year, so it’s safe to say that stress levels could be through the roof, especially for someone who is in their 80’s and considering a major home renovation during the holiday season. This week we are excited to share a story about a current wonderful client, and her home renovation project. Our client is an 82 year old woman, who is currently living on her own in the home she has occupied for over 50 years. She purchased the house with her husband shortly after marrying in 1965, raised their son, created memories and a life there. Her husband passed away in the last year, and her son contacted us to design and plan a home for his mom to live in now and for years to come that will not only allow her to age in place safely, but also to create an updated environment that is comfortable, warm and beautiful. It takes courage and energy to consider any home remodeling project, but it takes a very special person to prepare a home in advance for mobility, accessibility, and safety issues which may or may not occur. Deciding to take on any project is a big decision at any age, and certainly, it can be more difficult for the elderly to accept needed changes to their home. However, our client is different. She has been open to every discussion, decision, and plan. With the help of our “chief organizer”, she has been decluttering, organizing, and eliminating things from her space in preparation for the work that needs to be done. The work planned will be carried out in two phases. The first phase is to freshen up the second floor so that she can remain upstairs, while the second phase of the renovations focused on the first floor occur. The primary purpose of the renovations are to create a first floor master bedroom level with the rest of the house, to create an accessible bathroom adjacent to the bedroom, create an accessible kitchen and barrier free garage entry, and provide for a living space that creates more light and access to fresh air through the addition of a three season room. Anxiety. Towards the major changes that will occur in her home, as well as, the new faces of those who will be making those changes. Along with fear of the unknown, since she has not been through this before. What if it last longer than expected? Change of Routine. The work will require that she be temporarily placed upstairs while the renovations occur to the first floor, and having the house buzzing with activity and people. Lack of Comfort. Physical pertaining to having to sleep and live in an area of the home that she hasn’t for a few years, and emotional pertaining to the loud noises of construction that will be all around her daily. Privacy. Having strangers in and out of her home on a daily basis for months. Health. Construction fumes and dust are a major health consideration affecting how she breathes and feels. After voicing these concerns with her and her son, as well as, describing how the holidays can be an extra emotional time of year, we were able to convince them to begin the construction process at the start of the new year. The end of 2017 is already going to be emotional for our client. It is their first Christmas holiday season, not having her lifelong partner by her side, as she embarks on changing the home she has occupied for a lifetime. So, our advice is to think twice before starting a new project in the holiday season. We can see a new year with this new project on the horizon; which means many more memories to be shared and stories to come in 2018!